Fes Dance – Shake it off performance with our little ones. California Girls Katy Perry Ft. Snoop Dog Zumba California! 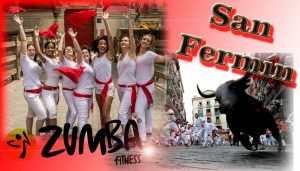 Gipsy Kings-Bamboleo ZUMBA Pamplona, Spain SAN FERMIN ENCIERRO RUNNING OF THE BULLS! DJ DERO – BATUCADA ZUMBA COSTA RICA!